Why and how we use technology to make every project run more smoothly. Architects still sketch out ideas on paper, but digital tools can transform the usefulness of designs and the capacity to extract data from them. At Peddle Thorp we apply technology at various stages of a project to improve the efficiency and precision of our work. Our practice was an early adopter of Building Information Modelling (BIM) software, which not only enables us to produce information-rich digital models, but allows us to develop materials to communicate our design such as visualisations and 3D-printed models. 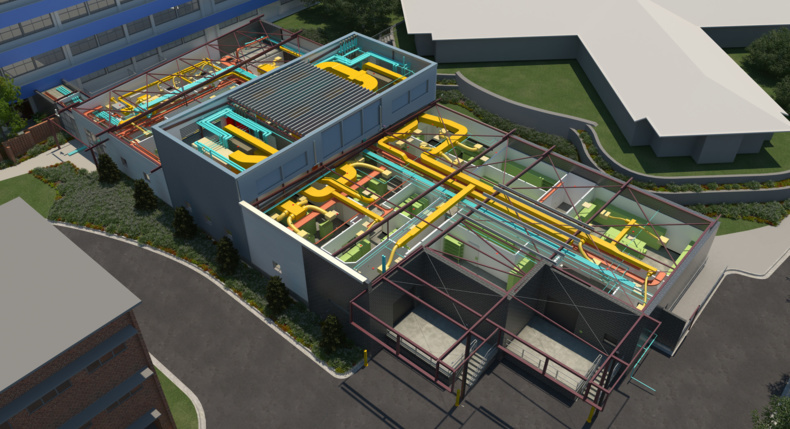 We’re able to realise the full potential of BIM to provide reliable, coordinated information from concept through to construction, as well as manage the process that will gather the data used throughout the operational life of a building. The management of information matters when it comes to designing and delivering buildings on time and on budget. Reality capture techniques such as laser scanning of existing sites, buildings or spaces to capture highly detailed digital data. BIM authoring software to produce smart models populated with useful information used to inform the design process. Analysis tools for assessing the performance and optimization of our designs. Custom tools used to improve the efficiency and consistency of our internal workflows. Cutting edge visualisation techniques to generate stills, animations and immersive virtual reality environments. Project review software to collaborate effectively between disciplines, ensuring the production of accurately costed, fully coordinated construction documentation. Peddle Thorp sees the use of technology as an opportunity for us to offer a service that can go beyond traditional design and really engage with the client, delivering solutions that exceed expectations.